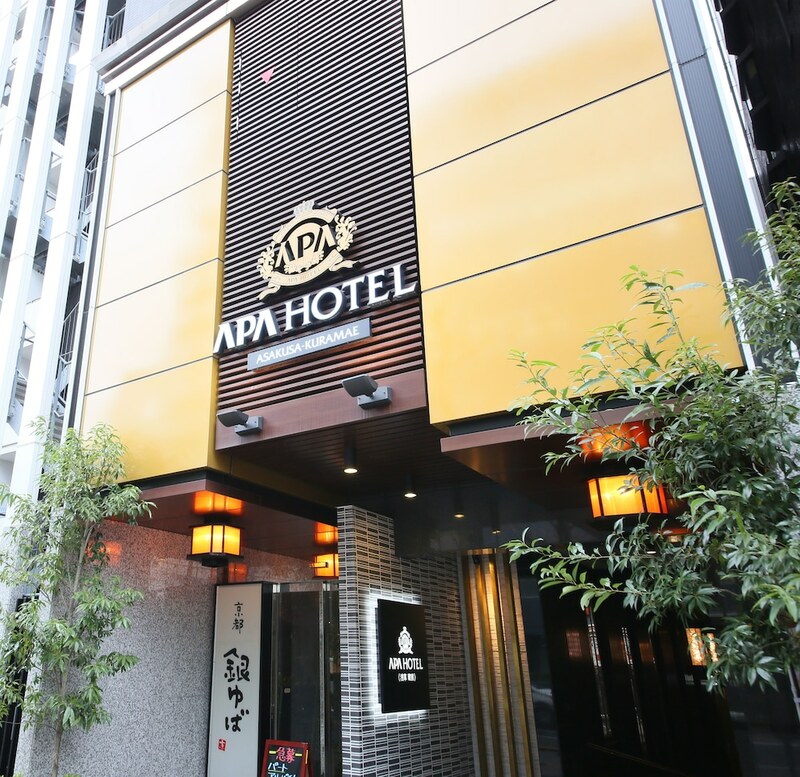 Located in Tokyo (Taito), APA Hotel Asakusa-Kuramae is within a 10-minute walk of Asakusa Culture Tourist Information Center and Kaminarimon. This hotel is 0.6 mi (1 km) from Nakamise Street and 0.7 mi (1.1 km) from Sensō-ji Temple. Make yourself at home in one of the 301 guestrooms featuring refrigerators and LCD televisions. Your bed comes with down comforters and premium bedding. Complimentary wired and wireless Internet access keeps you connected, and digital programming provides entertainment. Private bathrooms with shower/tub combinations feature complimentary toiletries and hair dryers. Enjoy a satisfying meal at Gin Yuba serving guests of APA Hotel Asakusa-Kuramae. Buffet breakfasts are available daily from 7 AM to 10 AM for a fee.